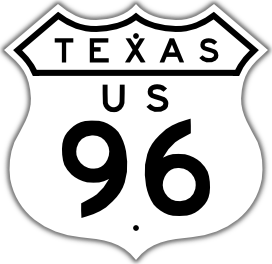 Texas shield with MUTCD fonts. 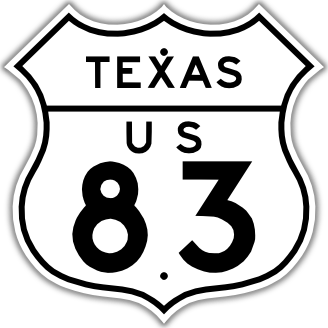 Square shield shape, with state outline and 1948 MUTCD fonts. 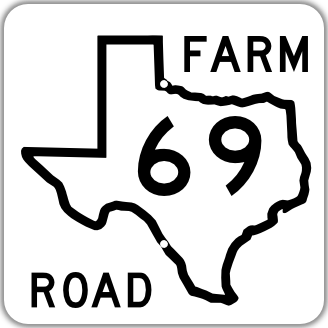 Available with any route number, as either farm or ranch road. 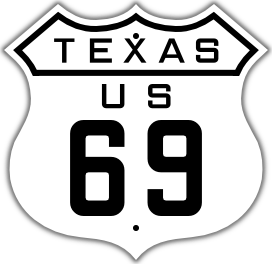 This road ran from Denver to the Port of Galveston and was a precursor to U. S. highway 87 and U. S. highway 287. The sign is either 24 by 8, or 12 by 4 inches. 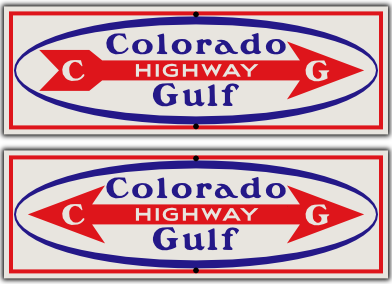 It is porcelain enamel on steel, just like classic signs were made back in the day. 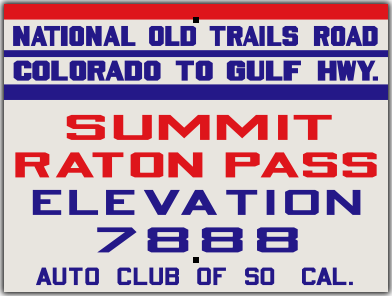 Available with left, right, or double arrow.